Air Fryer Orange Turkey Burgers with an Asian flair are juicy and delicious. 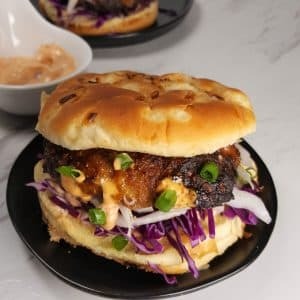 The Orange Glaze bakes into the burgers, so each bite is flavorful. Top the burgers with my Spicy Orange Aioli. 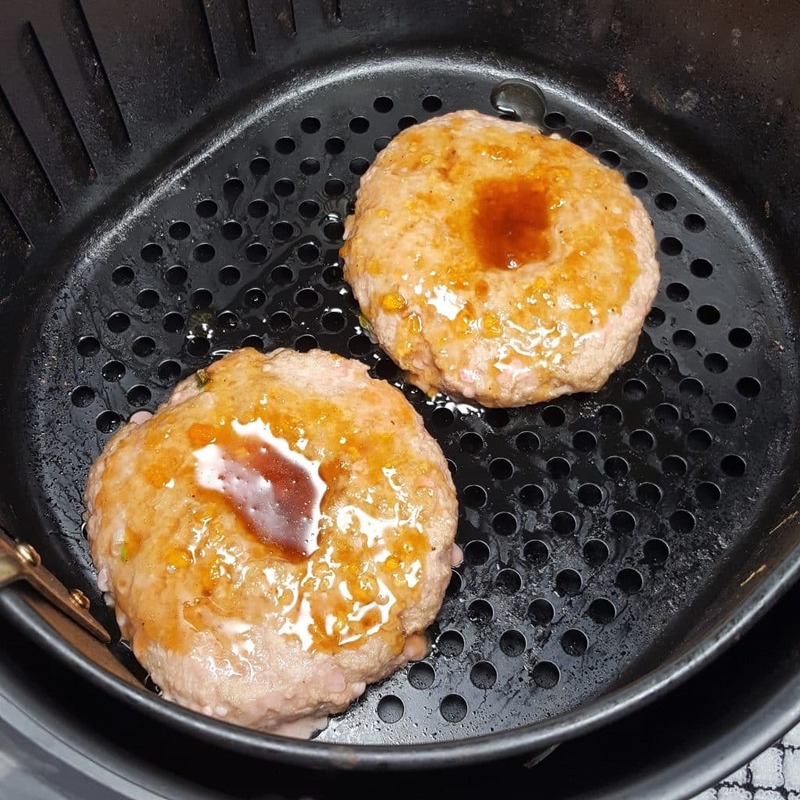 Air Fryer Orange Turkey Burgers with an Asian flair are juicy and delicious. 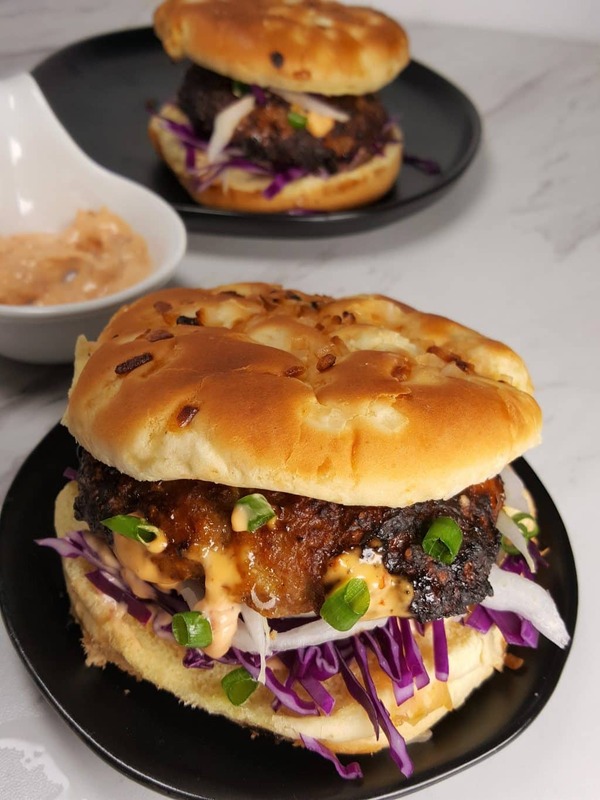 The Orange Glaze bakes into the burgers, so each bite is flavorful and leaves a caramelized glaze on top. My Spicy Orange Aioli Sauce adds another layer of flavor and can be customized to your level of heat! Turn them into Sliders for fun dinner parties, or make them on the Charcoal or Electric Grill at your next cookout. 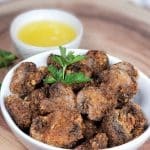 I will show you two ways to make them in the Air Fryer. 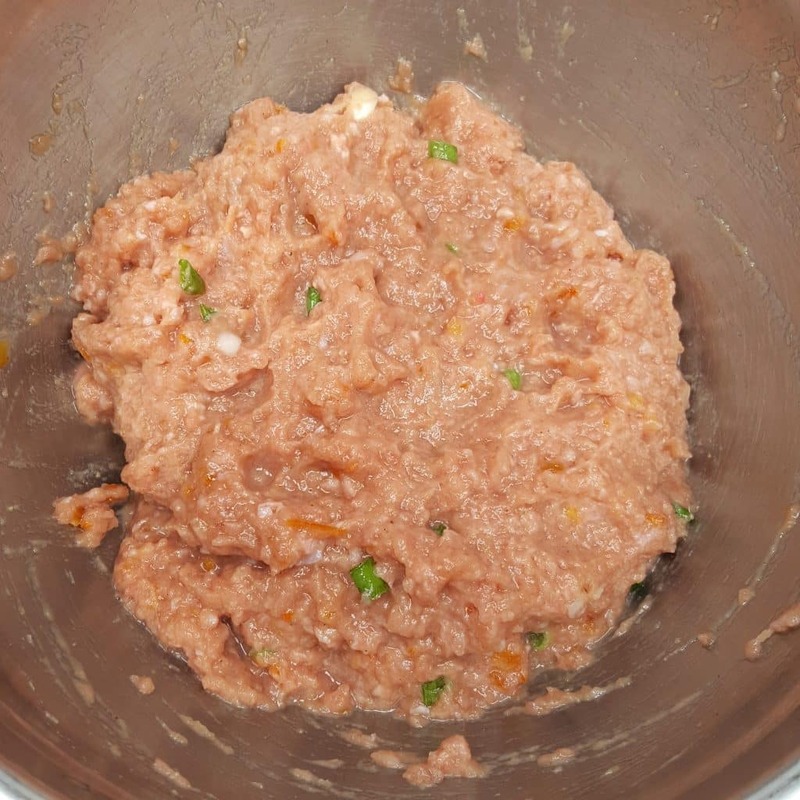 What are the Ingredients to Orange Turkey Burgers? 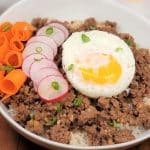 Ground Beef and Ground Chicken will work well in this recipe too. Ground Chicken is not as common and why I chose Turkey instead. Grab that Flat Whisk that I know you bought after reading about it on my blog, right? What is Orange Basting Sauce? If you really wanna, you can mix the Basting Sauce right into the meat mixture. Why Glaze the Burgers, rather than mixing in the Sauce? 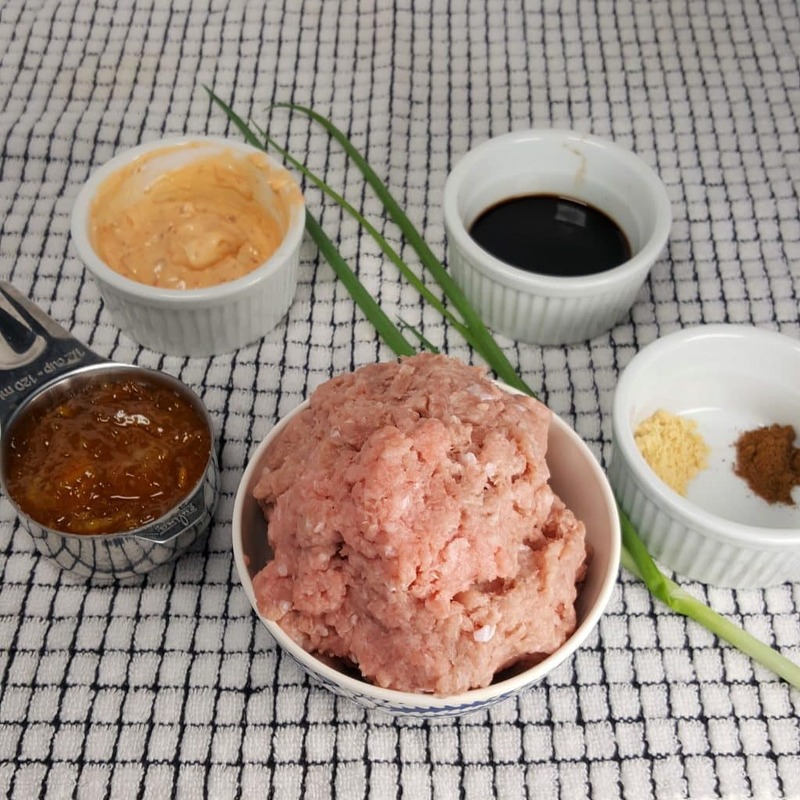 The Ground Turkey (or Beef) will stay firm and preserve the integrity and taste of the Meat. If you mix the Basting Sauce into the meat mixture you will have a meatloaf texture. You want to taste the flavor of the Meat that you are using and you also want the Burger to feel like a Burger. The flavor of the Orange Sauce, should be the “ah ha” moment and not over power a good Burger. 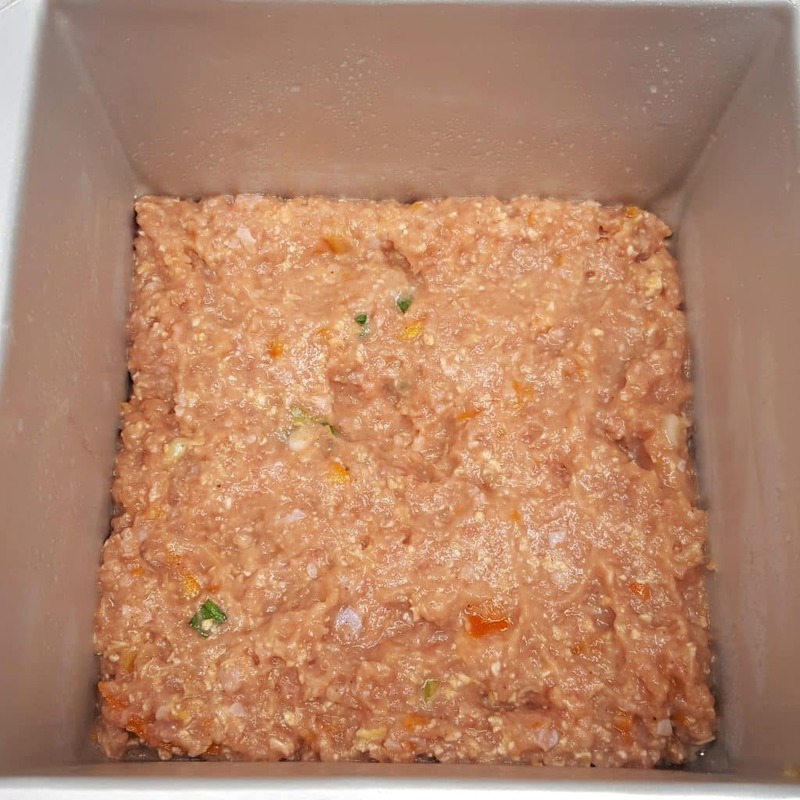 Now, if you want to mix it all in, try using my Pressure Cooker Turkey Meatloaf & Mashed Potatoes recipe and substitute those ingredients, with the ingredients of this Air Fryer Orange Turkey recipe. OMG, so good! 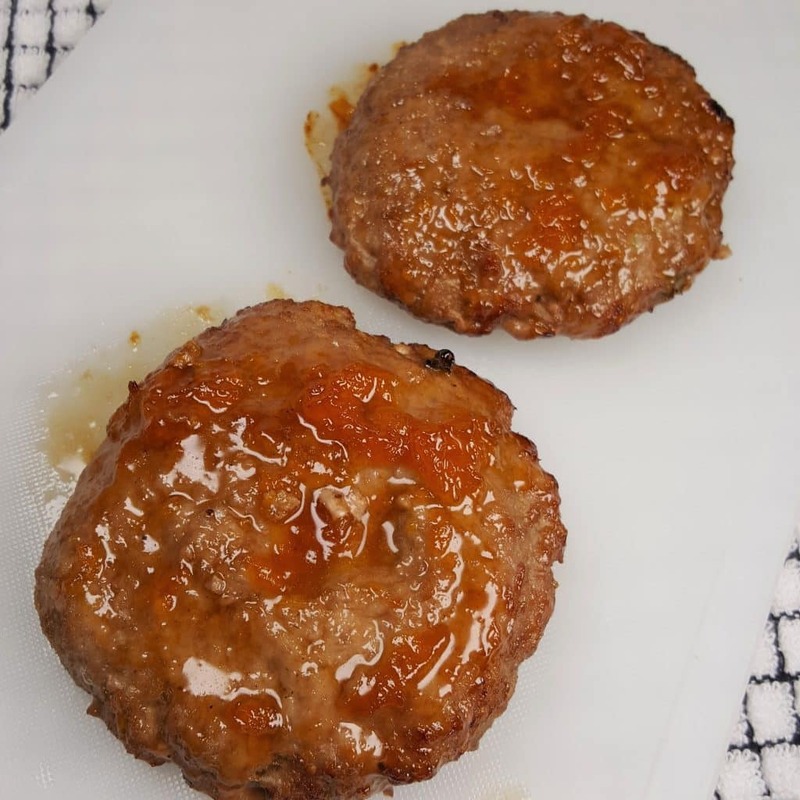 How do you Make Orange Turkey Burgers? Mix up the meat with the dry ingredients. Add a little of the Orange Basting Sauce. The Orange Basting Sauce, coupled with the Oatmeal will lock in juicy moisture, as Turkey tends to be lean and oh so dry! You actually can either add all the Orange Sauce into the Burgers, or just add a bit. And then paint the rest on shortly before they are fully cooked. 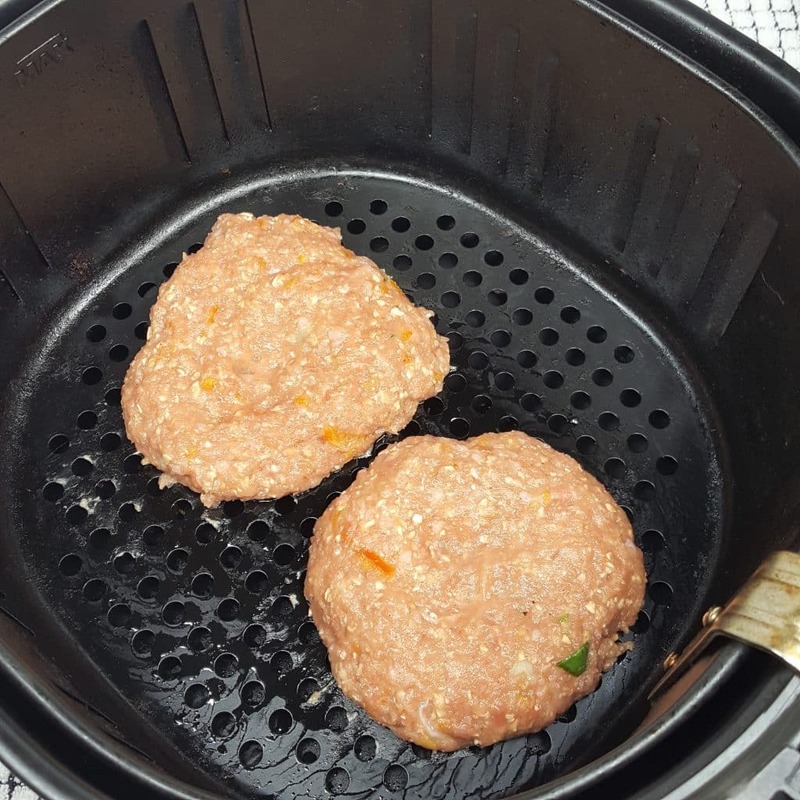 To get a great BBQ Grill Char on the Burgers, preheat your Air Fryer. Turkey is very lean, so I used my Oil Spritzer to grease the Air Fryer Basket. The Fine Life Oil Mister is the best spritzer I have found. Once the Air Fryer is nice and hot, it is time to add the Meat Patties. Why Do you Make an Indention into the Hamburger? Making an indentation in the middle of a Burger will help keep the burger, nice and flat. It will prevent the centers from rising and causing a hump when cooked. Have you ever made a Burger and your top bun just rocks back and forth on top? Well, that! With a Basting Brush, brush the Orange Sauce all over the Turkey Patty. As the Burgers cook, the indentation will rise and the Sauce will spread out and form a glaze. The Glazed Burgers are so juicy and delicious. 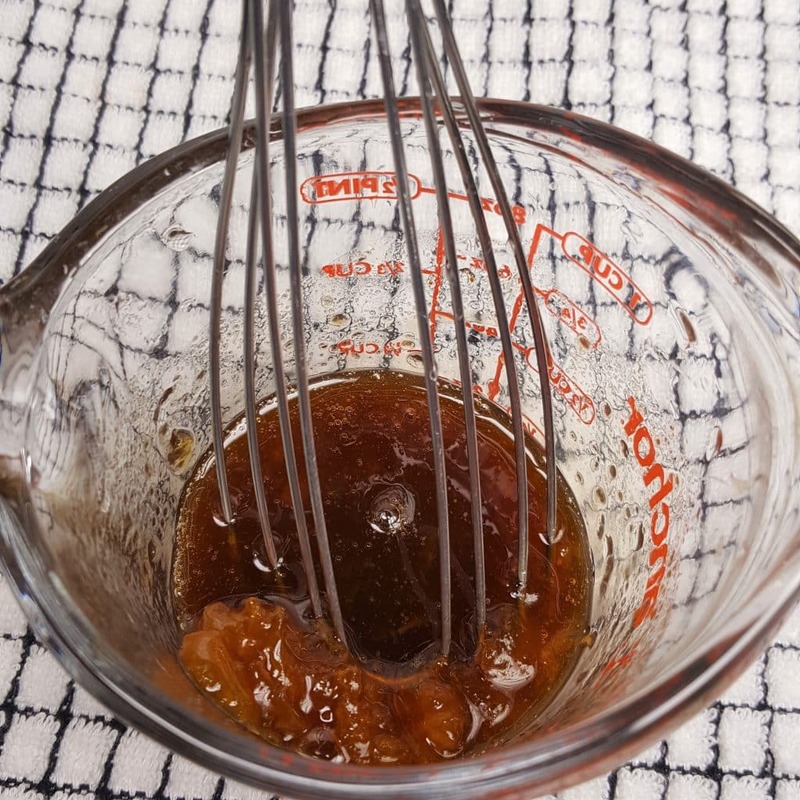 Since the glazing is on the outside, the Burgers will get a little bit of a char from the sugar in the Orange Marmalade. 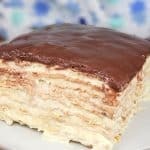 Wait until you take a bite! Juicy and so yummy. 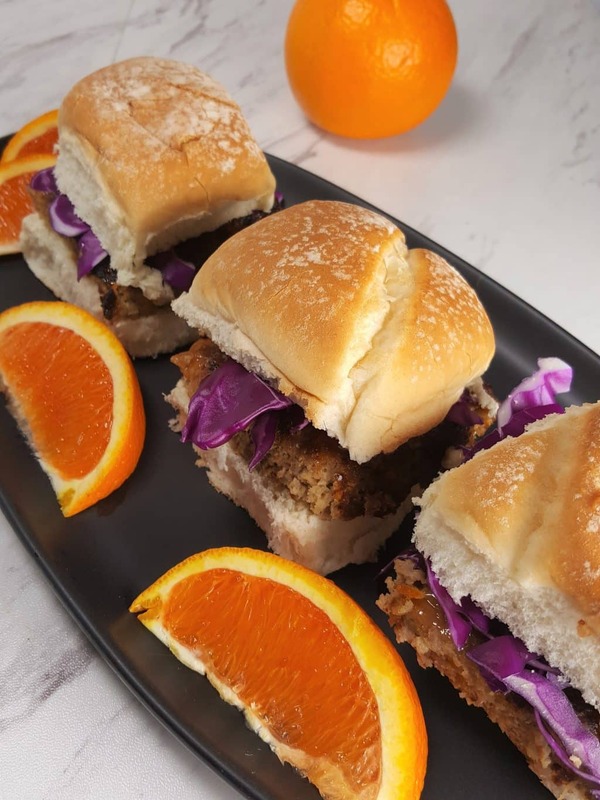 To turn these Air Fryer Orange Turkey Burgers into Sliders, grab a Square 5 or 6 inch Pan (depending on the size of your Air Fryer). 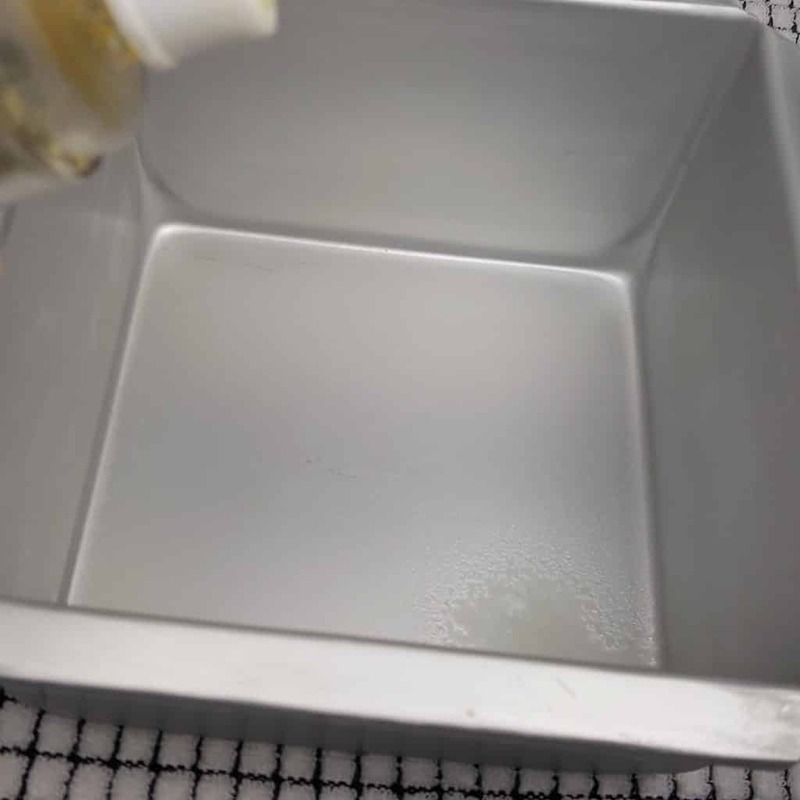 Use the Oil Mister and spray the Pan. Since these are Sliders and meant to be on the thin-ish side, I mixed in all of the Orange Basting Sauce. The Push Pan makes is super easy to just push out the meat and cut it into two or three inch squares. Grab some Potato Buns or Hawaiian Buns. 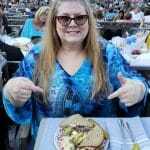 Coleslaw or Purple Cabbage is nice. A little dollop of the Orange Aioli. The Orange Aioli Sauce can be made as hot as you like. I’d love it if you let me know if you make these and what you think. 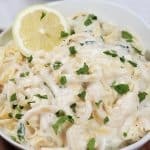 Don’t forget to share this recipe link on your social media channels. It helps to keep the blog running for free! Whisk together Orange Aioli ingredients and place in refrigerator. Mix together Basting Sauce and set aside. Preheat Air Fryer for 10 minutes at 400 degrees. Mix together burger ingredients, plus 1 Tablespoon of Basting Sauce. Shape into 6 patties. Make an indentation in the center of each patty to keep the patties from puffing. Lightly Spray Air Fryer Basket with Oil and quickly place patties into hot Air Fryer Basket. 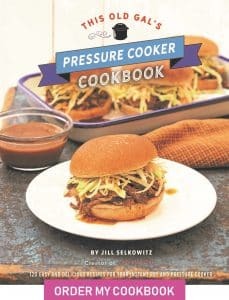 Cook at 360 degrees for 9 minutes, basting burgers every 2 minutes. Turn burgers over after 6 minutes and baste. Flip over again, baste and cook an additional 3 minutes. If using ground beef, omit the oats and cook just 10 minutes, or more for a well done burger. Turkey and Chicken are very wet and need a binding agent, like the oats. See narrative for Orange Turkey Sliders instructions. 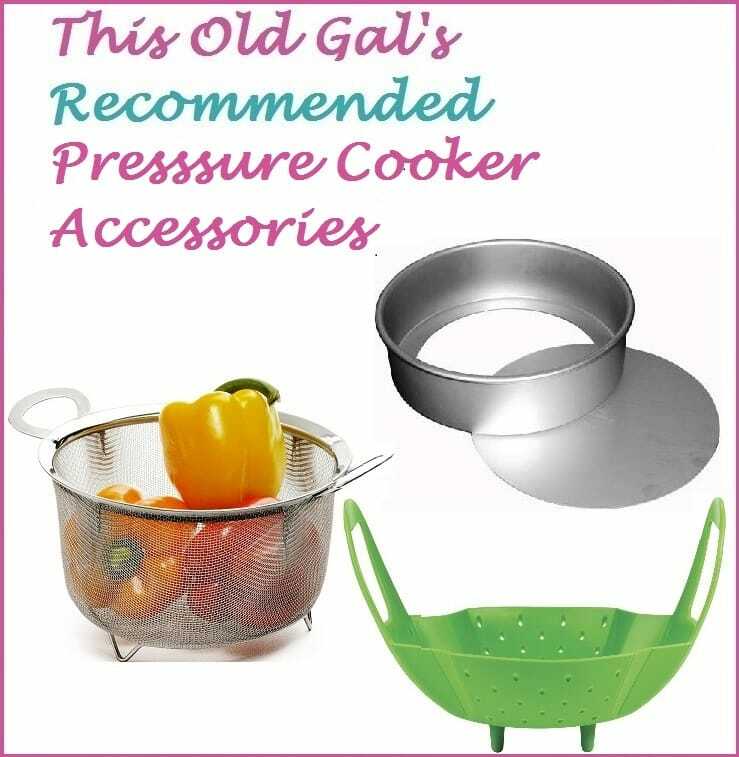 It all looks soooo yummy…I’m trying to pin the recipes to my ” This old Gal ” board , but don’t see an option ?